Details are emerging about a plea deal that the embattled CEO of gold collectibles firm, Menzgold, Nana Appiah Mensah, has put on the table for government’s consideration. The Daily Guide newspaper is reporting that its sources say NAM1, as he is popularly called, has told the government to sell his assets to pay some customers whose funds have been locked up with Menzgold. However, the government is adamant and wants NAM1 to put the request in writing before it acts. 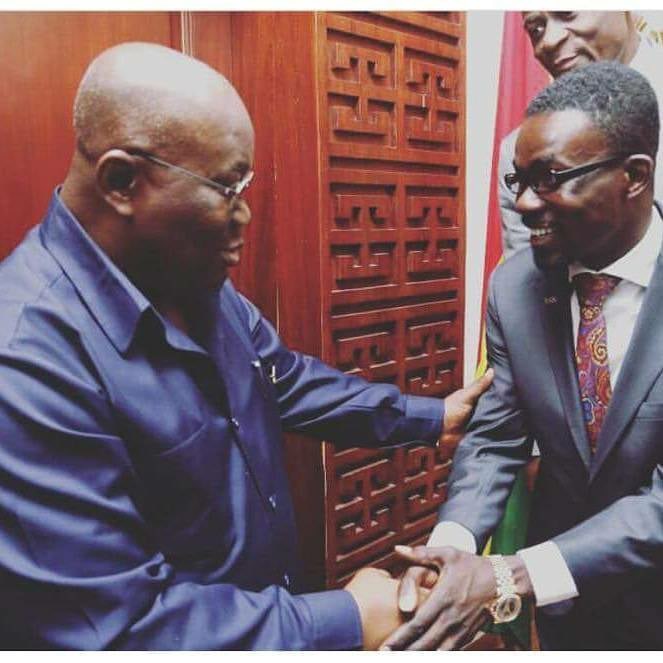 “Daily Guide gathered that the delegation that recently visited NAM1, who is under arrest in Dubai, the United Arab Emirates over an alleged scandalous gold deal, advised government not to directly intervene in the sale of his properties but rather that task should be carried out by his family,” the paper reports in its Wednesday edition. The investments of some 46,000 individuals are believed to be locked up at Menzgold. Some of the customers are said to have secured bank loans to invest in the gold dealership with the hope of getting higher returns but are now facing problems since their funds have been locked up with the company and the banks are chasing them for repayment. A joint statement recently issued by the Ghana Police Service and the Economic and Organised Crime Office (EOCO) said NAM1 could only return home to face criminal justice in Accra after the Emirati authorities are done with him as far as a criminal case in which he allegedly duped an Arabian businessman in that country is concerned. NAM1 was arrested in Dubai when he travelled there to demand payment for some $39 million worth of gold his company sold to an Emirati. However, the Dubaian filed fraud charges against NAM1 claiming he had been defrauded of $51 million by the 34-year-old Ghanaian, whose company has not been able to pay its clients their principal investments since August 2018 after the Securities and Exchange Commission shut down Menzgold’s gold vault market operations. Following Mr Appiah Mensah’s arrest in Dubai, a high-powered delegation from the Ghanaian government followed up with the intention to having him repatriated to face justice back home in a totally different case, which also borders on fraud. However, the police and EOCO said in their statement on Friday that: “It is the understanding of the Ghanaian delegation that Mr Mensah faces misdemeanour charges in the UAE and will be made available to Ghana upon the final determination of his current case in the UAE. His case is next due for court on 2 February 2019”.